BitTorrent launched the live streaming service after a series of research and development. The inventor, Bram Cohen believes that such service shall be a breakthrough from the existing online streaming service. This product is an excellent tool especially for the audience with low speed of bandwidth. In 2001, Bram Cohen invented the BitTorrent file sharing possibility, which immediately became a revolution in the IT industry, assisting people to download any video in large files in a short period of time. In 2005, YouTube introduced the video streaming technology, helping people to watch videos online. With the success from YouTube, the video streaming technology becomes popular everywhere in the world. However, the video streaming technology has several drawbacks. The most significant drawback is that people are hard to have smooth playback. The smoothness depends on the bandwidth of your internet connection. The increase in bandwidth will help to solve this issue. However, it might induce the increase in bandwidth cost. If the bandwidth issue cannot be solved, users might expect long buffering time and broadcast delays. In addition, when online videos attracted too many visitors to watch them, such videos might be banned. In such case no one will be able to watch the video again. With Live streaming service from BitTorrent, Bram Cohen is happy to solve this issue for more than 10 years. The BitTorrent technology helps to minimize the delay. With more and more people are watching the videos, the reliability is improved a lot. 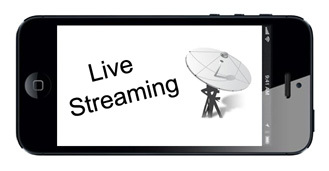 Per principle of the BitTorrent technology, the live streaming service can successfully eliminate the bandwidth issue and additional associated costs. The aim of BitTorrent Live targets is to send videos to many people around the globe. Therefore, everyone can enjoy the videos without any delay, and share the happiness with other people. In addition, the BitTorrent Live will not be closed because of the large demand on watching a particular video, which is the issue of traditional online video providers. On the other hand, they encouraged many people to watch videos, in order to confirm the smoothness of them. In order to enjoy the service, users are required to download and install the software provided by BitTorrent. The steps and processes on installation are simple, which do not need specific guidance. There is no specific hardware requirement on your computers. With the simple installation process and no specific hardware requirement, BitTorrent shall be famous in the coming future.